For a fan of the Golden Era in the film industry, I absolutely love starlets such as Audrey Hepburn and Marilyn Monroe. Audrey 100 presented such a beautiful collection of personal and published photos of Audrey during her time as a young women of the time. The photos presented are absolutely stunning and show Miss Hepburn in every light, without the touch of makeup or wardrobe, and in some of her happiest and saddest moments. 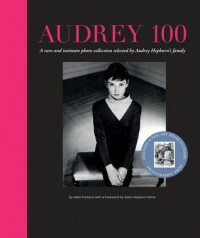 I suggest, for any fan of Audrey Hepburn, to go out and at least take a peak at this book and see for themselves what a stunning women she was and how much emotion she could convey by just being in a photograph.